Machinery, parts and equipment for Jewellery making: Barrelling Units, Compounds, Magnetic Polishers, Grinders etc. 240V.Versitile double barrel unit. 2 x 3lb capacity 6lb. Heavy gauge steel base, 2 x moulded long li..
DRAPER 230V 150MM HEAVY DUTY BENCH GRINDER. *SALE WHILE STOCKS LAST* A heavy duty model designed.. 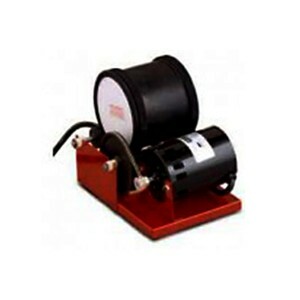 MAGNETIC TUMBLER RS 400gr capacity.. Replacement Lid Gasket (underside) For Heavy Duty Tumbler.. Single Barrel Tumbler 3lb. Capacity tumbler features a heavy gauge steel base, water tight moulded r..